While the housing market has stalled across most of the UK, the East Midlands is one of the few regions managing to buck the trend – with annual house prices increasing by 4.8%, compared with an 0.8% drop in London. The robust health of the housing market in the East Midlands, despite the huge uncertainty over Brexit and its potential repercussions, make it a promising region in which to invest in property. This latest round-up of new housing developments incorporates options for most budgets – including starter homes, medium sized family properties, and more spacious houses for those who wish to upsize. Just a few homes now remain at this popular development set in the quintessential Lincolnshire village of Navenby. There is a choice of luxury three-, four- or five-bedroom houses, with more than 80% now sold. 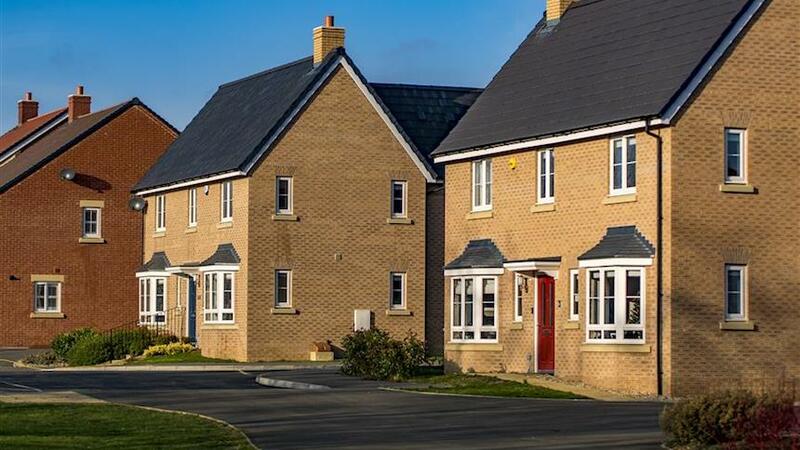 Situated just 11 miles outside of the historic city of Lincoln, these brand new homes combine a pretty village setting with all the convenience of quick links to city life and amenities. Navenby itself has a rich heritage: a Bronze Age cemetery and the remains of an Iron Age settlement have been discovered in the village, and it is believed to have been an important staging point on the Roman Ermine Street. The village is still home to some beautiful historical architecture, too, while the attractive high street has a good selection of local shops and facilities to cater for day-to-day living. There is a village primary school and the surrounding area has a choice of senior schools for older pupils from the village. 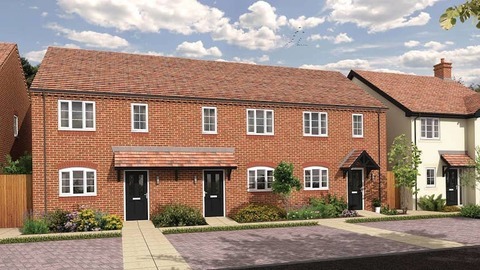 Prices: From £107,500 for a three-bedroom home to £440,000 for a five-bedroom home. Find out more at www.lindenhomes.co.uk or call 01522 848 387. Now open, this brand new development in New Ollerton is home to a collection of two-, three- and four-bedroom homes to suit a variety of lifestyles and budgets. Gleeson offers numerous schemes to help prospective buyers secure a new home whatever their situation. 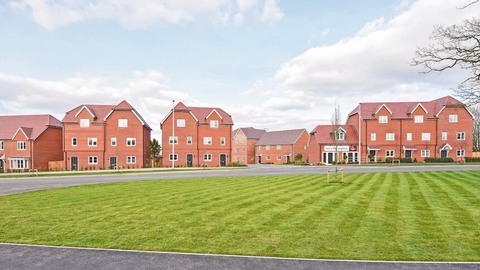 New Ollerton was originally built as a colliery village in the mid 1920s, on a "model village" principle – although today the colliery has been replaced by The Sherwood Energy Village, which has been in the media spotlight thanks to its environmental principles. About half a mile away there are shops and facilities on Sherwood Drive, plus further options in the town of Ollerton, about a mile form the development, which has a high street with a Post Office, a pharmacy, banks, grocery stores and a couple of takeaways. 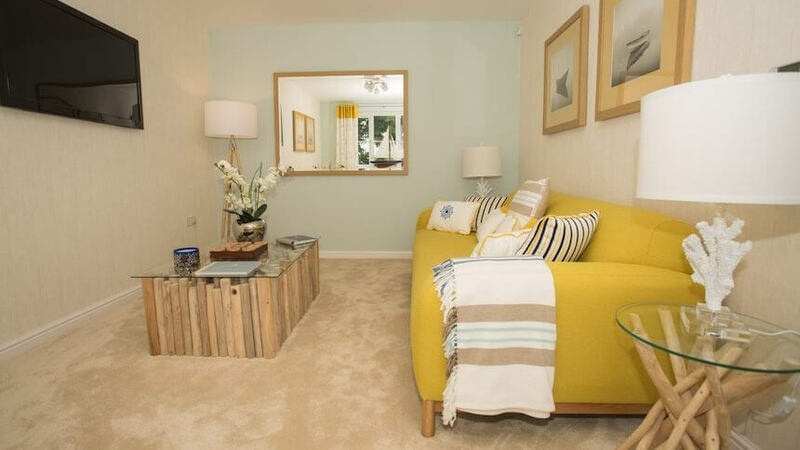 Prices: From £112,995 for The Cork (Plot 140), a two-bedroom house. Find out more at www.gleeson-homes.co.uk or call 07970 282000. 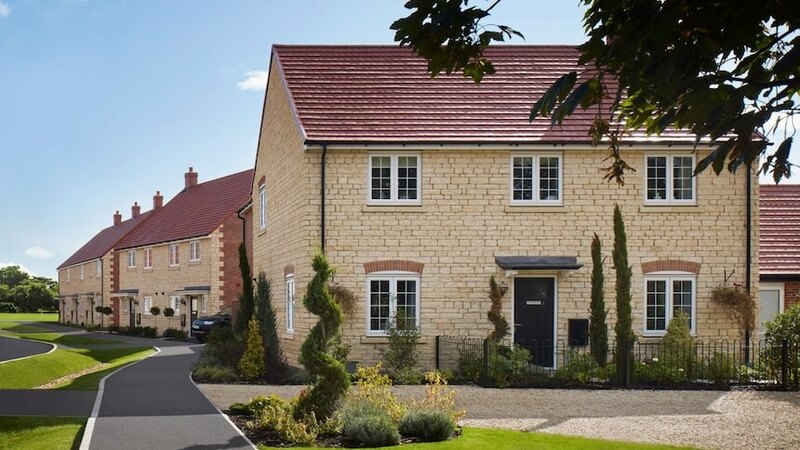 Larkfleet has released a collection of contemporary, energy efficient, two-, three-, four- and five-bedroom family homes on the edge of the traditional market town of Oakham in Rutland. All the properties are fitted with solar panels to cut carbon emissions and reduce household energy bills. Set within the Oakham Heights ‘urban extension’ on the fringes of the town, the scheme also incorporates parks and open spaces, children's play areas, allotments and a new local centre. Barleythorpe Brook runs through the site and there will be enhancements to its ecology, along with improved transport links including new cycle ways, footpaths and bus routes. Historic Oakham is an attractive town that is considered Rutland's main hub of activity. A twice weekly market sells local produce and there’s a monthly farmers’ market and many shops, cafes, restaurants and pubs. Rutland Water, England’s largest man-made lake, is close by, with plenty to offer nature lovers and water sports fans. Good road links connect the towns of Stamford, Melton Mowbray and Corby, while Leicester and Nottingham are both within a 35 mile radius. Oakham railway station offers services to Birmingham, Leicester, Peterborough, Cambridge and Stansted Airport. Prices: Current availability from £169,995 upwards. 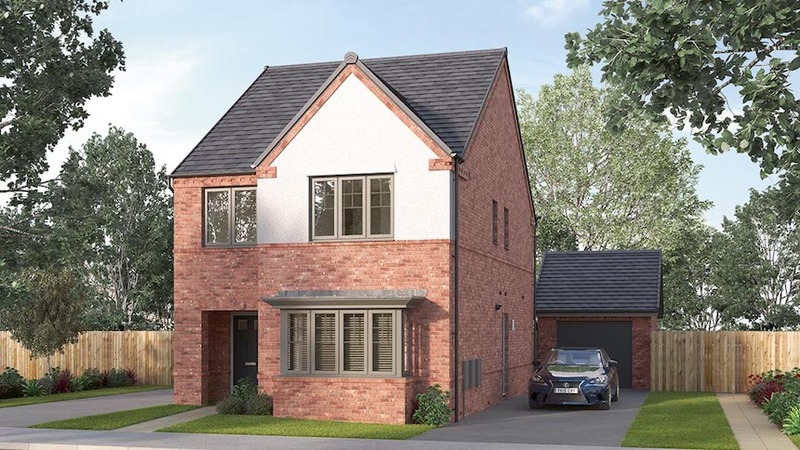 Less than two miles from the centre of Loughborough, this new development features a traditional townhouse design with contemporary interiors. Each home offers three bedrooms and is spread over three storeys. On the ground floor there is a spacious garage plus a bedroom and storage space. The first floor has a kitchen/diner and lounge area, while the second floor has a main bathroom plus two bedrooms, including one master with en-suite. The market town of Loughborough is well known for its well-respected university, currently ranked within the top 10 of all three national league tables. The town’s pedestrianised heart still boasts numerous art deco buildings and a large outdoor market on Thursdays and Saturdays, plus a monthly farmers' market. 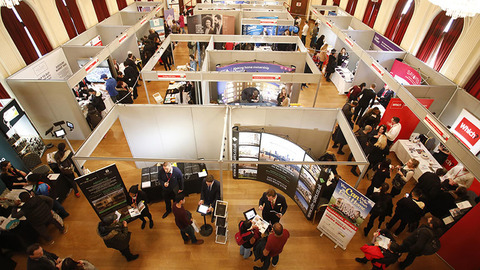 Loughborough also has five museums, a calendar of year round events such as The Picnic In the Park and Streets Alive, and many popular sports clubs and teams. For commuters, rail services run from the station south to Leicester, Bedford, Luton and London St Pancras, and north to Lincoln, Derby, Sheffield, Leeds and York, with the link to London twice-hourly. By road, Junction 23 of the M1 is just west of the town. Find out more at www.morrishomes.co.uk. 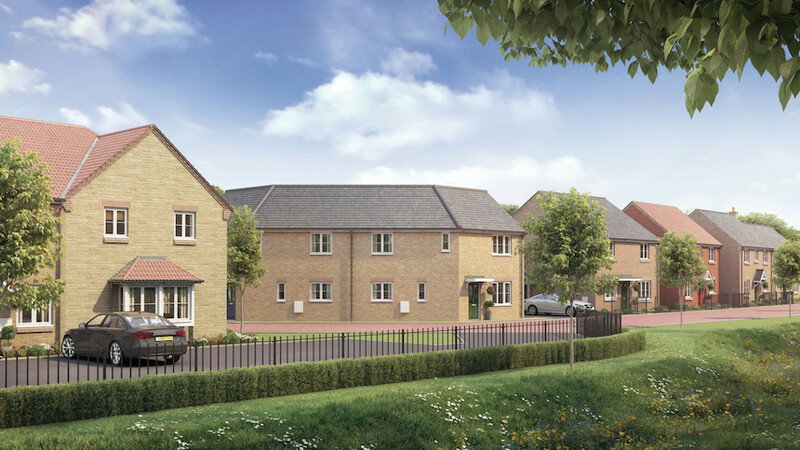 In a tranquil rural setting overlooking fields, Woodford Meadows incorporates three- and four-bedroom homes within easy striking distance of Northampton, Milton Keynes and Oxford. Woodford Halse has plenty to offer residents, from year-round events such as the Summer Boat Races and Annual Christmas Fair, to great everyday amenities such as a Post Office, a library, a pharmacy, shops and supermarkets. School-aged pupils have Woodford Halse COE Primary School in the village, while older pupils have options in nearby Daventry. The larger town of Daventry is only a little over six miles away, and is connected by local bus, providing a greater choice of shops and facilities including leisure and entertainment options. Then just a bit further from home is Northampton itself, with a wide choice of well-known high street names, department stores, a theatre, cinemas and plenty of places to eat and drink. Commuters can easily access both the M1 and the M40 for trips to Birmingham, London and the north. Prices: From £239,950 to £349,950. 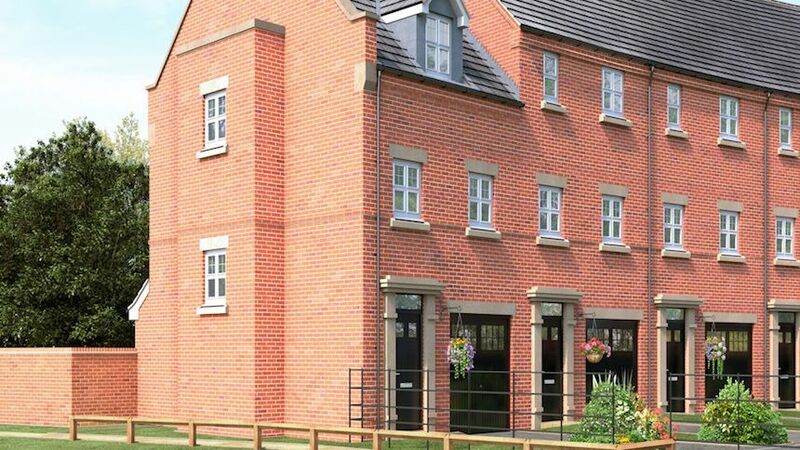 Coming soon to the small red-brick village of Brailsford, the Cotton Yard will deliver 75 new homes within easy travelling distance of Derby. The beautiful Peak District is nearby, and both the city of Derby and the town of Ashbourne just 15 minutes away by car, which means the location strikes an idyllic balance between city and country living. There are good amenities close by, including a village convenience store, a Post Office, a butcher's, a café and a local pub, with further shopping options and leisure facilities in nearby Ashbourne and Derby. There is a village primary school, with new premises just a short stroll from the Cotton Yard site, which is rated 'Good' by Ofsted, and several secondary schools in the local area. Commuters will find easy road links for access to the M1 and M6, while by rail the station in Derby provides services to London in around 90 minutes. The East Midlands airport can cater for many trips further afield. Find out more at www.avanthomes.co.uk or call 01335 388 270.